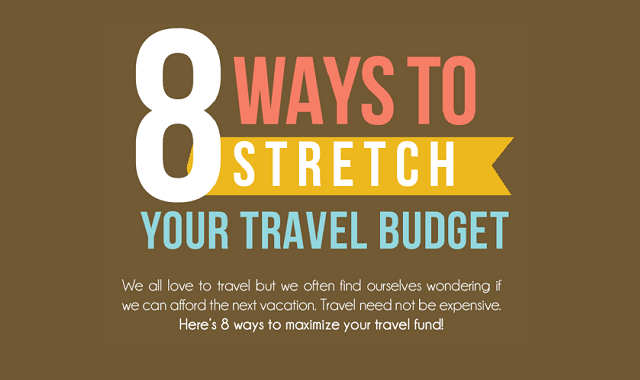 8 Ways to Stretch Your Travel Budget #infographic ~ Visualistan '+g+"
We all love to travel but we often find ourselves wondering if we can afford the next vacation. Travel need not be expensive. Here's 8 ways to maximize your travel fund!